To mark Trustees Week – a fantastic annual event showcasing the great work that Trustees do – we thought it would be a good opportunity to bring back to the limelight all of those Trustees we have celebrated over the last year. This article is authored by Alex Day, Director of The Big Give. More people are likely to donate to charity and give more money if they know their donation will be match-funded, a new report has found. In this blog post, Alex Day delves deeper into research the Big Give recently commissioned about the power of match-funding. Public Trust in Fundraising Methods Falls: What Can Charities Do? The recent Charity Commission Report into public trust and confidence in charities has shown that the overall level of trust and confidence that the public has in charities has fallen to the lowest level since the report began in 2005, a decrease from 6.7 to 5.7 out of 10. The Cause4 office is often a forum for lively debate: from football results to politics, we can always find some topical issue to challenge each other on. However, as our recent Brexit blog showed, the team is unanimous on the unequivocally negative effects of Brexit on the UK charity sector. The outcome of the historical EU Referendum has sent Europe (as well as our Facebook newsfeeds) into a frenzy, as the UK's future appears more uncertain than ever. As our Twitter poll suggested in May, Brexit has become a reality, meaning our economy and professional environment - not least the charitable sector - face inevitable change. 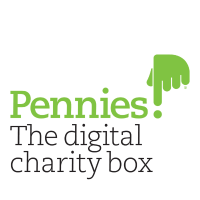 This article is authored by Alison Hutchinson CBE who is the CEO of Pennies, the digital charity box. Back in 2013, Cause4 recommended that the Pennies’ way of giving to charity should ‘become everyday practice, with the option of rounding-up being available each time a purchase is made. Today, creative and cultural organisations across the UK are increasingly investing their time and money in engagement and learning work. This involves taking work out of conventional spaces like galleries or auditoriums and into the communities surrounding them, inviting access from new audiences and breaking down barriers to participation. How does your organisation view your donors? Our “close friends of the charity” and “generous supporters” might well be how we publically refer to them, but are we treating them well enough? Our prospects are people we likely approach with our nicest smiles and most considerate ears. However, when they become donors, we seem to transition into comfort zone far too quickly. We no longer email as often, if at all, and assume that they’ll stick around with the kind of dedication parents do at the side-lines of their offspring’s amateur sport competitions. Reading the line ‘still only able to fund 1 in 10 applications that are submitted’ (Paul Hamlyn Foundation) from Kathryn Worthington's Blog sends shivers down my spine when it comes to applying for funding from Trusts and Foundations. There are too many good applications being sent to Trust and Foundations which simply cannot support them. So what does this mean in terms of our friends and foes in the arts fundraising world? The Centre for Philanthropy was founded in 2008 and is one the UK's leading centres for philanthropy research, teaching and public engagement. I was delighted to be able to interview Dr Beth Breeze, the Director of the Centre, in March 2016.